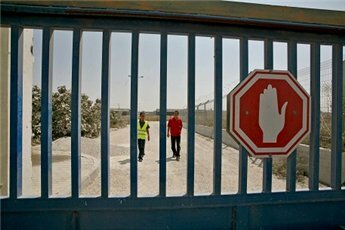 The Euro-Mid documents the Israeli abuses of the freedom of movement and travel of the Palestinians through Palestine-Jordan Al Karama Border Crossing, the only land-passage for the population of the West Bank. It is controlled by Israel since December 1967. By reference to the International Law, and the human rights charters and covenants observed by the international community and signed by Israel, every person has the right to leave any country including their own country and also has the right to return back thereto. This right may not be restricted, except under limited and specific circumstances and legal requirements specified by a time ceiling, to ensure that there are no unjustified restrictions or abuse. According to the special testimonies and human cases recorded by the Euro-Mid or documented by well-known human rights organizations at the local or international levels, it is obviously demonstrated that the Israeli authorities deliberately prevented thousands of Palestinians from travelling every year through Al Karama Border Crossing under the Israeli control. This prevention is very often accompanied by practices categorized as “degrading treatment” by frisking and searching by stripping off the clothes in some cases, investigation, waiting for long hours under difficult conditions, lack of clarification or answer to the inquires of those prevented from traveling about the cause of enforcing them to return back. The only answer was “security reasons”. Also the statistics indicate that the prevention is sometimes accompanied by cases of arrest against many of the travelers before transferring them into illegal administrative detentions in Israel where they are being interrogated and intimidated by the Israeli intelligence. It is worthy to emphasize that the violations of the right of travel and freedom of movement lead to a range of violations that are directly in detriment to the fundamental civil rights of the Palestinians such as denying their access to treatment and education barring them from traveling for work, performance of religious rituals associated with particular shrines and meeting with the families. The Israeli intelligence also was detected exploiting the urgent need for those wishing to travel by blackmailing them to cooperate with the intelligence service, to sign documents whereby they waive their right to return back to their towns and villages inside the Palestinian territories. Furthermore, many prevention cases for the purpose of mass punishment have been recorded. The prevention also included elected representatives in the Legislative Council, journalists, academicians, and personnel in international and UN agencies. The report mentions that the selected samples are only examples that represent hundreds of other prevention cases. The Euro-Mid estimates that Israel, since early 2011 to the report date, has prevented 4 thousand Palestinian citizens from traveling through Al Karama Border Crossing, at a rate of 83 citizens a week. Whereas, the Jewish residents are allowed to move, freely and without any restrictions, in the areas allocated for the Palestinians. This clearly points out a policy of flagrant discrimination on a national backdrop adopted by Israel against the Palestinians in particular. This constitutes a violation of the equality principle laid down in the Human Rights Conventions, Charters and Covenants. The Euro-Mid’s report concludes with a recommendation to the international community and UN Human Rights Agencies to undertake their roles to protect the right of human being to travel and move to and from the Palestinian territories, including the legal accountability for the violation of this right, direct pressure on the Israeli authorities to implement its commitments under the international law, to facilitate the movement of Palestinians under Israel’s control, and put an end to the policy of separation and abuse against them.